The means test was developed to ensure that the only people who file for Chapter 7 bankruptcy are those who truly do not have the ability to pay back their debts. There are many factors that go into the means test, so you should rely on an experienced Minnesota bankruptcy attorney to help you determine if you qualify for Chapter 7 bankruptcy. The first factor the means test uses to qualify you for Chapter 7 is your income. Basically, if your income is less than the median income in Minnesota for the size of your household, and your debt is consumer debt and not business debt, you qualify for Chapter 7. There is no further test required. However, even if your income is above the median income for Minnesota, you may still qualify for Chapter 7. Another factor the means test considers is your disposable income. Your disposable income is what is left over after you have paid for your allowed monthly expenses. If the money that is left over after expenses is not sufficient to make payments on your debts, you may qualify for Chapter 7, even if you income is above the median. Otherwise, you must file for Chapter 13, which means you will have to make one monthly payment each month to a chapter 13 trustee for a certain period of time (36 to 60 months) which gets split up among your creditors each month pursuant to the terms of a chapter 13 plan of reorganization. However, that is not necessarily bad news. Depending on your situation, Chapter 13 might be your best option. 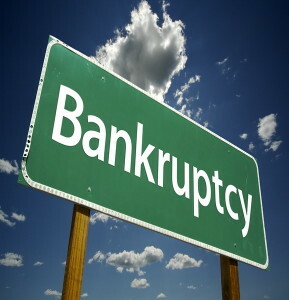 The bankruptcy attorneys at Behm Law Group Ltd. deal exclusively in the area of bankruptcy law. Our highly trained and experienced staff can help you decide if Chapter 7 or Chapter 13 is best for your situation. When you are ready to put your debts behind you and move on with your life, give us a call.